【Lifetime Warranty】: Yes, you are right. Contact us anytime for any issue. We are confident about our products. Please make sure you buy from our store: EFFUN. Products from other stores are FAKE!!! 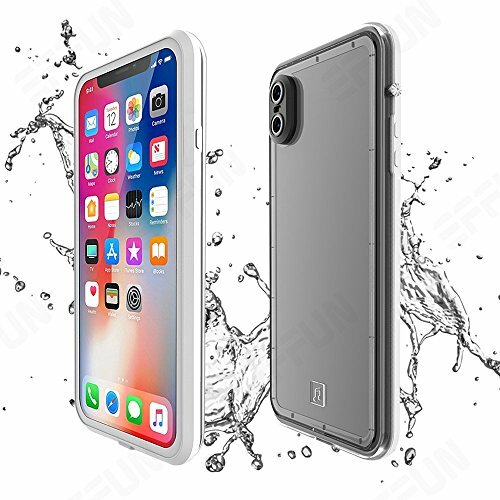 【100% Waterproof】: Our iPhone 8 Plus/iPhone 7 Plus case meets IP68 Ingress Protection Rating can offers 360° complete sealed from snow, ice, dirt & dust particles and fully submergible to 6.6 feet (2m) water for 1 hour. Perfect for outdoor swimming, fishing, skiing, kayaking, river tracing, etc. 【Full Function】: Precise cutting to fully compatible with iPhone 8 Plus/iPhone 7 Plus (5.5 inch). All buttons and controls (touch ID, power key, volume button, camera and charging port) are easy to access just like it normally would without the case. 【Unique Design】: The new mute key on the side looks like a screw shape are very convenient and stable for you to adjust your phone to silence and the little white dots on both sides makes your phone looks more stylish. 【High Quality Cover】: Made of a highly-durable plastic and silicone material protects both border and corner of your phone, it is drop-proof and can survives drops from 6.6 feet/2m. Cover comes with high touch sensitivity built-in screen protector. 【Lifetime Warranty】: Contact us anytime for any issue. We are confident about our products. Please make sure you buy from our store: EFFUN. Lifetime warranty which safeguards against defects. We take pride in our workmanship and want you to know that we make every effort to make the perfect case for you and your favorite mobile device. 【Support Wireless Charging & Clear Enhanced Audio】Special transparent and slim back cover will not block the wireless signal when wireless charging your iPhone X, you do not need to take off the case which provides great convenience to your daily use, it supports most kinds wireless chargers. Enhanced audio design provides better sound quality when making calls or listening music. Enjoy the clear sound and say goodbye to muffles. 【IP68 Waterproof & High Quality Photos】: After around 1000 tests, no leakage or water damage during 2 hours 6.6ft/2m deep underwater. The transparent front and the cover of back camera lens is perfect for taking high-quality & high-definition photos or videos even underwater. 【Multi-Protections & High Sensitivity】Full body protection and rubber edge designed shockproof to Meet Military Standard 810G-516, safe guard your iPhone X drop even from 6.6ft/2m height for thousand times. This case is also Snowproof/Dirtproof/Shockproof, rugged to adapt to all harsh environments. And anti-scratch built-in screen protector ensures perfect clarity touch experience and complete touch screen protection. 【METAL & WATERPROOF】: Made from premium aluminum metal material designed for iPhone X Only. Waterproof grade up to 33ft/10m much better than IP68, Safe in water even after 1000 times test of using for 1 hour underwater 10ft. Perfect protection for any underwater activities or outdoor/daily use. 【MULTI-PROTECTION】: Full metal body protection designed to exceed Military Standard 810G-516, safeguard your iPhone even after 1000 times drop from 6.6ft/2m height. The Temdan case is also Snow/Dirt/Dustproof, rugged to adapt to all harsh environments. 【EASY INSTALLATION & CLEAR SOUND】: Fully sealed even after 1000 times open and close. Two covers (front/back) snap on design makes it fast and easy to install or take off in seconds. Enhanced soft button better press feeling. Have decrease the calling sound effect, better sound quality when calling. 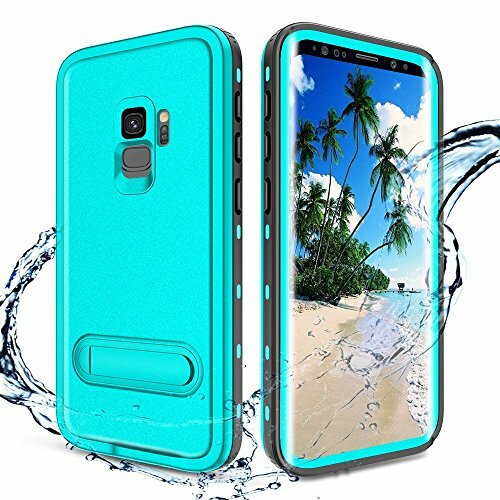 【IP68 CERTIFIED WATERPROOF】COMOSSO Heavy Duty Full Body Protective Case Compatible with Galaxy s10+ plus 6.4 inch (2019 Release). Waterproof up to 6.6ft/2m underwater for one hour. Best partner for underwater activities, outdoor sports and daily use. Supports taking picturesideos underwater. 【HOW TO USE THE FINGERPRINT SENSOR】We designed a removable sensor membrane in the S10 plus waterproof case.You can freely choose to support or not support fingerprint sensor "3D Sonic Scanner" function. Please follow installation steps to use the ultrasonic sensor function. 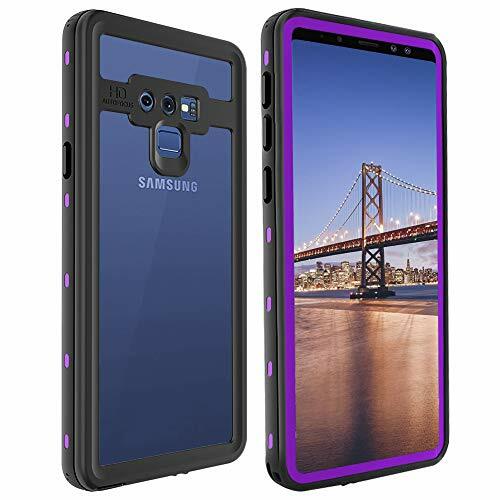 【RUGGED ARMOR PROTECTION】 Military Standard 810G-516 dropock proof protection, rugged protective your samsung galaxy S10 Plus from hiking, clambing, skiing and any harsh evrionments. Front cover with built-in screen protector prevent your S10 Plus from scratches. Please noted: do not add extra screen protector on your smartphone before using S10 Plus waterproof case. 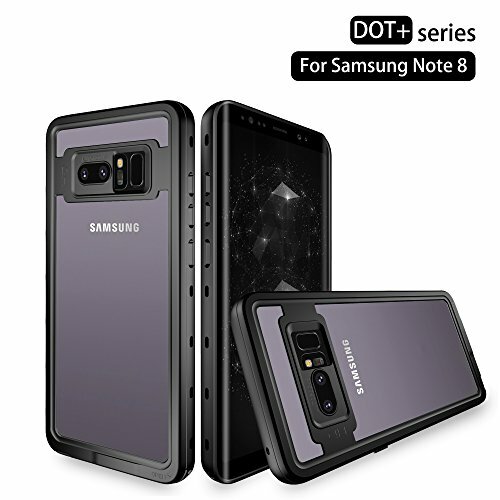 【AIRTIGHT DESIGN】 Two pieces with airtight design guarantees full-body protection, the comosso waterproof case for samsung galaxy S10 plus makes it easy to access without no doubt compared with other without airtight case. 【SUPPORT WIRELESS CHARGING】 comosso waterproof case works with wireless charging and support reverse wireless charging even another one with waterproof case too. 【Compatibility】Compatible with iphone XR 6.1 inch (2018 release). Perfectly fits your iphone XR with precision cutouts for all buttons and ports. 【Waterproof】IP68 Certified Waterproof, tested submerged to 6.6'/2 m for 30 minuites. Perfect for water sports, such as swimming snorkeling surfing and many outdoor sports. 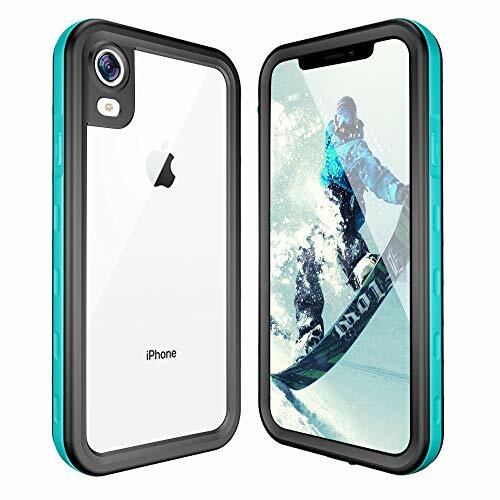 【Multi-Protection】: Full body protection designed to exceed Military Standard 810G-516, safe guard your iPhone XR 6.1. even after 1000 times drop from 6.6ft/2m height. The SEEBAY waterproof case is also Shockproof, rugged to adapt to all harsh environments. 【Screen Protector】: Front cover with built-in screen protector prevents scratches without compromising sensitivity. Port covers and dust ports block against unwanted dust and debris. 【Warm Notes】1 year warranty. Only works with Apple original lighting charger or similar size cables. The fully sealed design of the waterproof case is designed to enhance better waterproof protection. If sound problems encountered in the process of using,please check the second image and follow these steps to solve it. 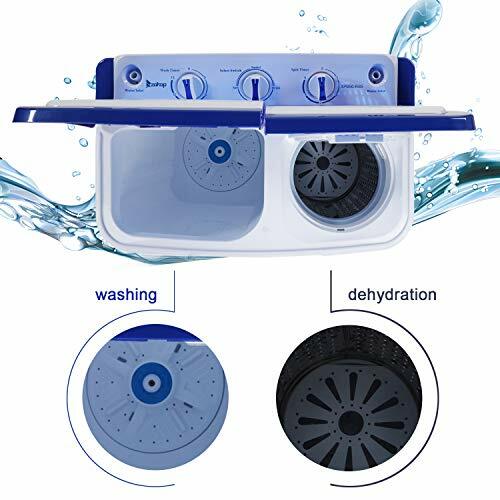 ★CERTIFICATED WATERPROOF: Only Compatible with Apple iphone XR 6.1 inch 2018. IP68 waterproof rating, designed to underwater and tested to submersible to over 6.6ft / 2m deep for 1hr without leaks. 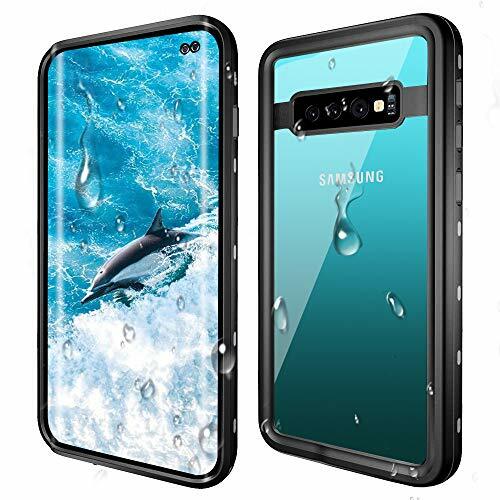 Protect your phone from water, snow, splashes, dirt, rain, drops, scratches, perfect for underwater activities/water sports/outdoor work,sports and daily use. ★MULTI-PROTECTION: Not only waterproof, but also shockproof, dustproof,snowproof. Rugged to adapt to all harsh environments. Full body protective armor case designed to exceed Military Standard 810G-516, and tested more than 1000 times, protect your phone from shock and drop. ★TOUCH SENSITIVE: Excellent transparent front and back cover of Apple iphone XR waterproof case can prevent scratches without reducing the sensitivity. High HD lenses ensure you capture the high quality pictures and videos even if you are underwater. Use your wireless charger without taking off the case. ★NOVEL DESIG: Anti-slip design, easy to handle and hold your iPhone. The color bumper shows your taste, younger, more vibrant and more fashionable. The color bumper make your iPhone looks younger, more fashionable and more personalized. The front and back clear screen protector reveal the true color and beauty of your iPhone. ★LIFETIME WARRANTY: You can contact us anytime for any issue.1 year satisfaction warranty. Friendly Service - 24 hours email customer service response for you. Please sent us Email if you get any problem . 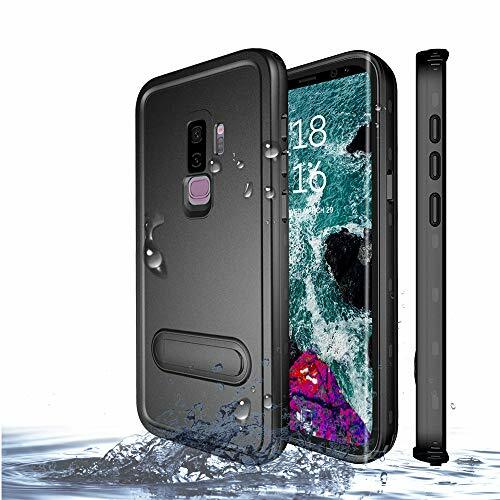 【WATERPROOF】: IP68 certified waterproof case for Samsung Galaxy S9, two pieces design and fully sealed, submersible to over 10ft/3m deep for 1 hour, supports capture images and videos underwater, provides great protection for any underwater activities, outdoor, daily use. 【MULTI-PROTECTION】: Full body protection and rubber edge designed to exceed Military Standard 810G-516, safe guard your iPhone even after 1000 times drop from 6.6ft/2m height. 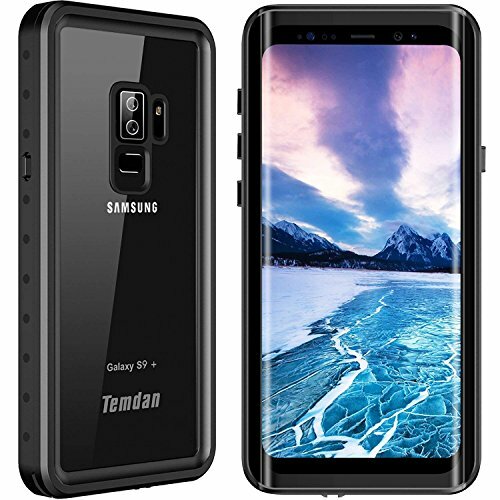 【PREMIUM MATERIAL】 Premium built in TPU screen protector, PC back cover and front cover, combined with black rubber edge and charging port plug make your Samsung Galaxy S9 case waterproof, shockproof and dust-proof, rugged to adapt to all harsh environments. Ultra-flat screen protection ensures you can access full-screen functionality and make sure it doesn't fall off easily and last long. 【EASY INSTALLATION】: Fully sealed even after 1000 times open and close. Two covers (front/back) snap on design makes it fast and easy to install or take off in seconds. 【KICKSTAND & FLOAT STRAP】: Built in Kickstand on the back cover which can release your hands as you watch videos and e-books. Packaged with a floating wrist strap floatable to prevent the Galaxy S9 from sinking in the water or protect your other outdoor water sports device. ★ WATERPROOF:IP-68 certified Waterproof grade standard - submersible up to 6.6ft/30mins. DUSTPROOF: Fully sealed design prevent dirt and dust clogging your note 8 ports. 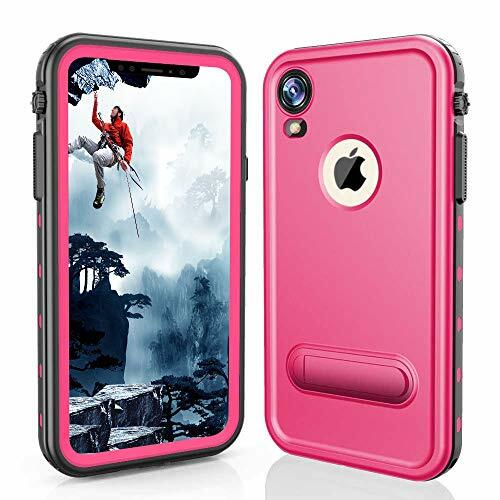 SNOWPROOF: Full-body Rugged Case with Built-in Screen Protector Completely closed to snow and ice . SHOCKPROOF: Passed 6.6ft/2m height drop test for 1000 times to exceed MIL STD 810G-516.6. 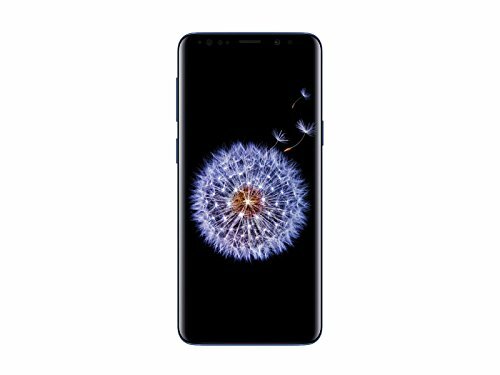 Protect your Note 8 from falls and shock. ★INNOVATIVE DESIGN: Built in TPU screen protcetor protect your screen form splash, dirt, water, scratches. Using advanced scratch resistant TPU to ensure excellent sensitive touch feeling and fingerprint TOUCH ID function. Designed with a built-in kickstand for a hands-free viewing. ★ULTRA SLIM & LIGHT WEIGHT : ? inch/13mm and weighs only 1.8oz/51g makes your Galaxy Note8 easy to carry and use. There are 8 colors you can choose from make your phone more personalized. ★PERFECT FIT: Compatible with Samsung Galaxy Note 8 only. Precisely cut openings to allow full access to all functions of buttons, ports and features. A front piece containing an integrated scratch-resistant screen protector, coupled with the hard PC back cover creates a defensive body that completely surrounds your Note8. ★WIRELESS CHARGING: Use your wireless charger without interference. 1 YEAR SATISFACTION WARRANTY, Friendly Service - 24 hours email. 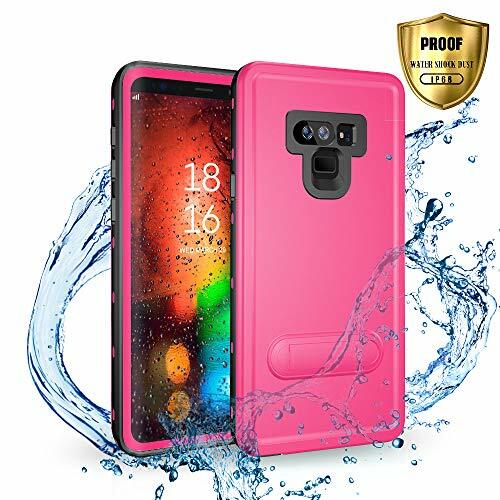 CERTIFICATED WATERPROOF: Only Compatible with Samsung Galaxy Note9 (6.4inch). IP68 waterproof rating, designed to underwater and tested to submersible to over 6.6ft / 2m deep for 1hr without leaks. 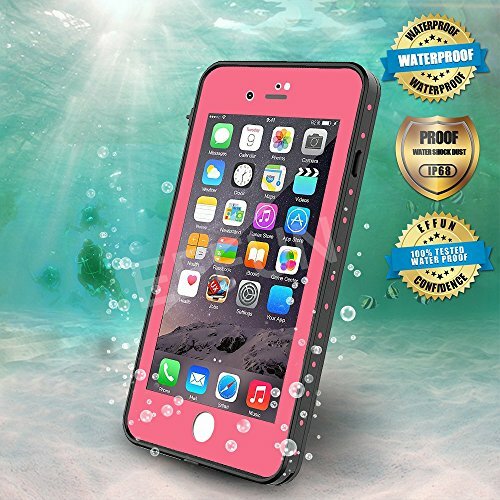 Protect your phone from water, snow, splashes, dirt, rain, drops, scratches, perfect for underwater activities/water sports/outdoor work,sports and daily use. MULTI-PROTECTION: Not only waterproof,but also shockproof, dustproof,snowproof. Rugged to adapt to all harsh environments. 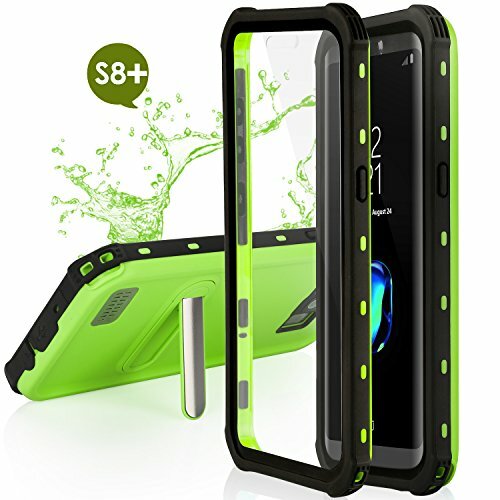 Full body protective armor case designed to exceed Military Standard 810G-516, and tested more than 1000 times, protect your phone from shock and drop. PERFECT FIT: Precisely cut openings to allow full access to all functions of buttons, ports and features. Hard PC back cover, rugged built rubber bumper, combined with the sensitive TPU screen protector build the military standard of the full body phone case. Furthermore,the built in Kickstand on the back cover which can release your hands as you watch videos and e-books. TOUCH SENSITIVE: The front cover of Samsung Galaxy Note9 waterproof case is designed with built-in screen protector, which can prevent scratches, without reducing the sensitivity of the screen. You still get perfect touch sensitivity to carry out all your activities normally. LIFETIME WARRANTY: You can contact us anytime for any issue.1 year satisfaction warranty. Friendly Service - 24 hours email customer service response for you. Please sent us Email if you get any problem . 【Compatibility】Compatible with iPhone SE, iPhone 5S and iPhone 5. Complete access to all buttons, ports and features. Piselyrec cut openings to allow full access to all the functions of your phone. 100% compatible with Apple Touch ID biometric scanner, sensors and camera. 【Waterproof】Tested IP68 Certified Waterproof. Fully submergible under the depth of 6.6ft(2M) in 30mins and withstand chock and drop up to 2M. Protect from water, rain, snow, ice, dust particles, meets IP-68 Ingress Protection Rating. Perfect for any underwater use&outdoor sports&daily use. 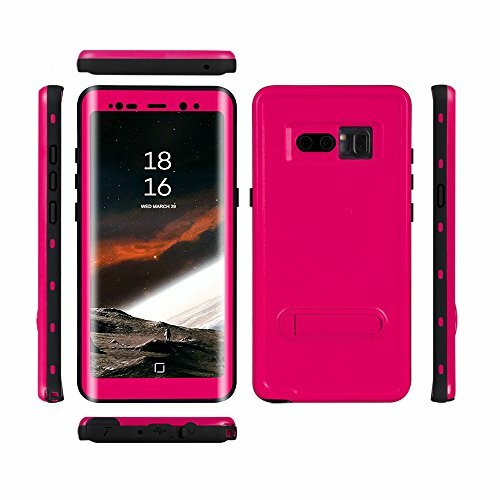 【Multi-Protection】WaterProof, DirtProof, SnowProof, DropProof.Shockproof designed and tested to 6.5 ft high, passed SGS drop test,shockproof exceed MIT STD 810G-561.6 rating, protect your phone from shock and drop. 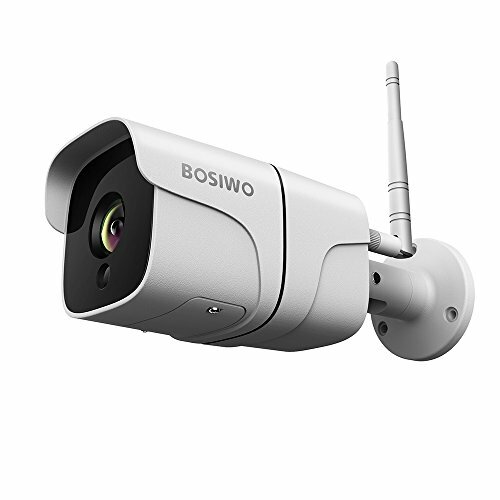 Waterproof up to 10ft/30mins and IP-68 rating. 【New Design】Slim and lightweight, weight only 42g. Portable for all outdoor activities such as Underwater Photography, swimming, surfing, hiking, cycling, skiing and daily use. Cover comes with high touch sensitivity built-in screen protection,3H front screen protector protect your phone from Scraping. 【Touch ID Function】Use top-level TPU as manufacture material, Ultra thin windows ensure sensitivity and full access, uttermost reduce the effect to the signal to provide protection from scratches. 【TEMDAN & WARRANTY】: More fun with Temdan free accessories. 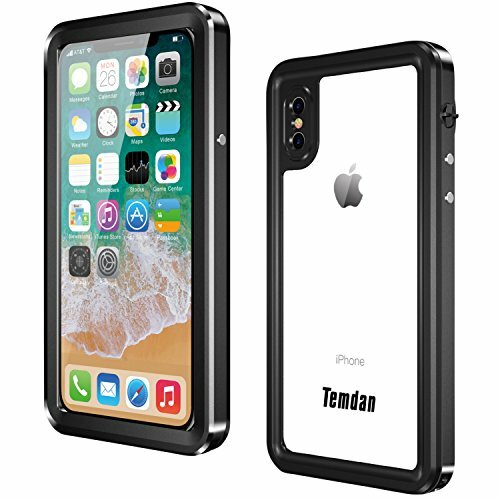 Temdan case under 1 year no excuse warranty, you can purchase with confidence. IP68 Waterproof & HD Photos: After around 1000 tests, no leakage or water damage during 2 hours 6.6ft/2m deep underwater. The transparent front and the cover of back camera lens is perfect for taking high-quality & high-definition photos or videos even underwater. Multi-Protection: Full body protection designed to protect your phone. Comprehensively against being crashed. 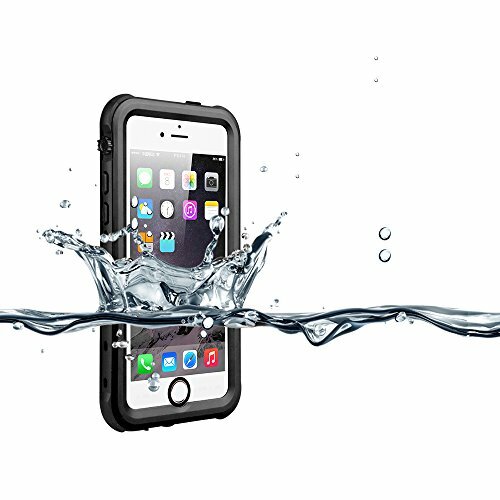 The IP68 Waterproof case is also Snowproof / Shockproof / Dirtproof, so it is a necessity for outdoor activities. High Sensitivity: Anti-scratch sensitive touch screen protector ensures perfect clarity touch experience and complete touch screen protection; TPU membrane enables touch ID to work more sensitively; Clear built-in screen protector makes S Pen works smoothly. Wireless Charging Support：Special transparent and slim back cover will not block the wireless signal when wireless charging, you do not need to take off the case which provides great convenience to your daily use, it supports most kinds wireless chargers. What You Get: IP68 Waterproof case for Samsung Galaxy Note 8, 3.5mm adapter cable for earphone, lanyard, cleaning cloth, pry open tool and instruction, our 18-month worry-free product warranty and lifetime friendly customer service. 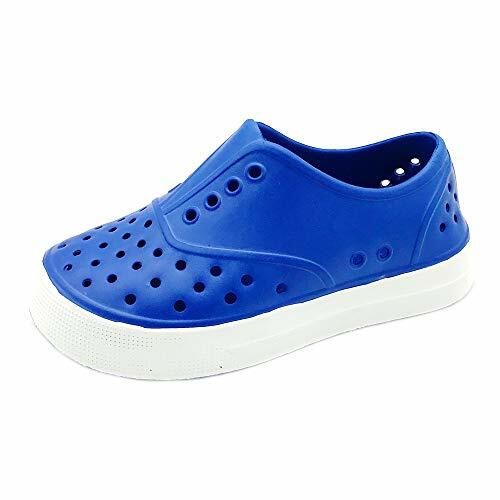 RECYCLABLE AND NON-MARKING SOLE - Constructed out of a high-quality EVA, a lightweight material with a foam rubber-like consistency that won't weigh your toddler down as they are learning to stretch their boundaries. 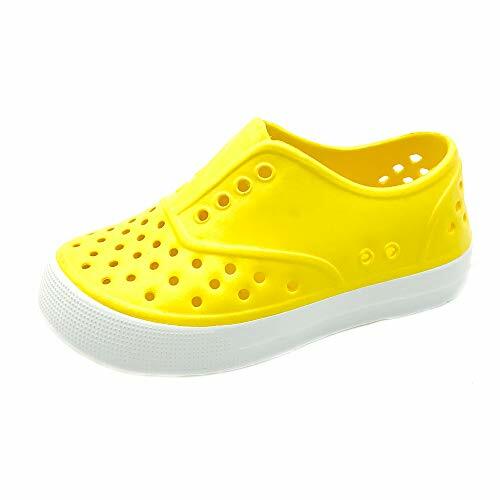 SOFT AND COMFORTABLE FOOTBED - The durable cushion shock absorbant footbed allows for maximum comfort during those long hours of playtime and toddling around. 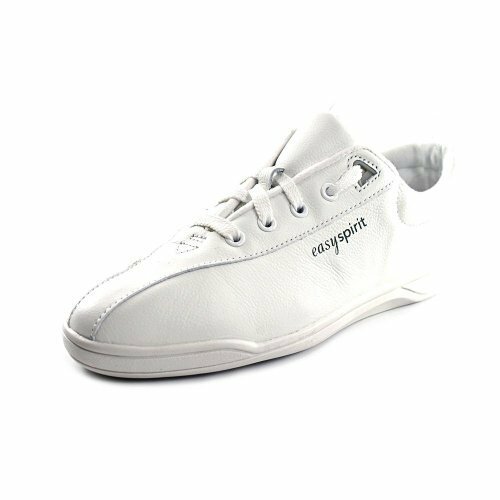 CLEAN UP IS A BREEZE - Made from a synthetic material that is waterproof, and odor-resistant, you will find that keeping these shoes clean is easier than keeping your child clean. Just hose off or wipe with wet cloth. 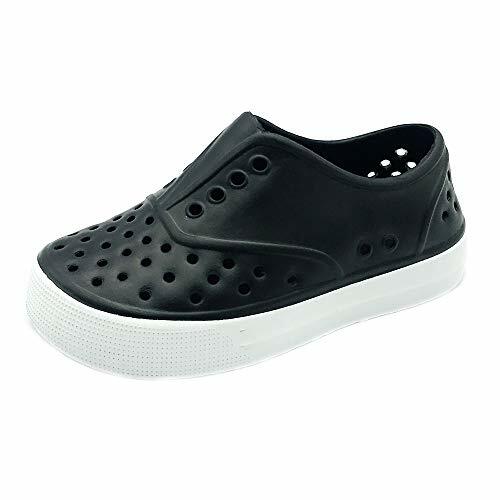 QUICK DRY SHOES - Perforated, breathable & comfortable enough for all summer long. 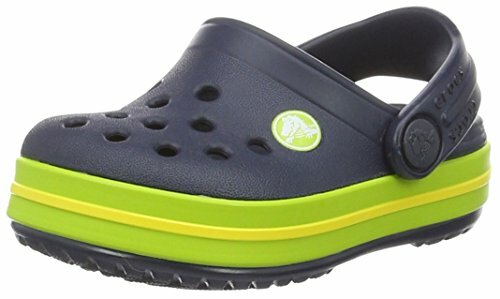 NO HAZARDOUS MATERIALS - There are no hazardous materials used in the manufacturing of these shoes. Not only are they PHTHALATE free and BPA free, but they do not contain FORMALDEHYDE and are also CPSIA compliant. 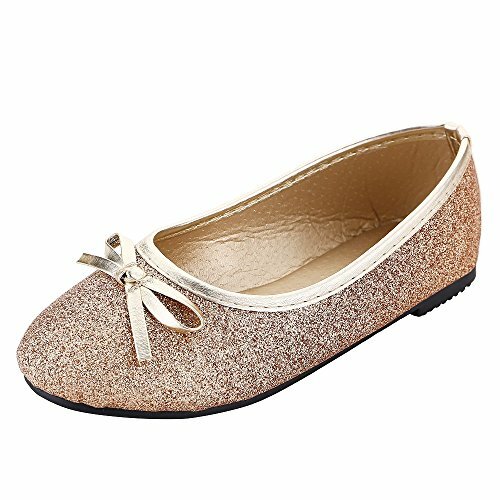 AVAILABLE SIZES : Toddler 5M to10M; Little Kid 11M to 13M; Big Kid 1M to 2M. Please choose the appropriate size according to the size table in the last picture on the left. 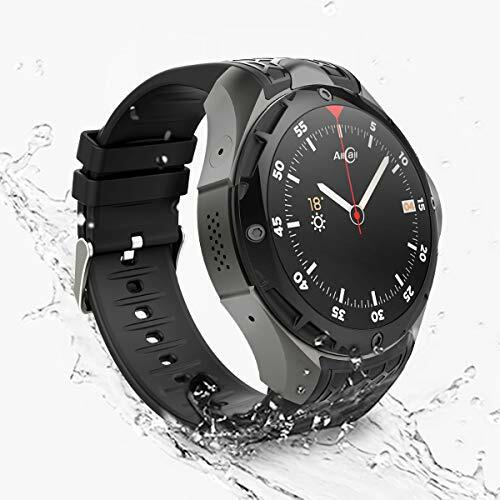 Android 7.0.standalone smartwatch get your favorite apps and watch faces. Request a car ride. navigate your route. Perfect your golf swing. With thousands of Android Wear apps, there's no limit to what you can do with your watch. Get your information at a glance. Check what's important-like calls, text, and alerts-just like you check time. Follow your fitness progress. Measure your progress and stay motivated with built-in 8 fitness tracking model and Google fit available if you like syncs your data from previous workout. Download more apps like Strava, Runkeeper, Sleep for Android..
Save time with smart help. Get all-day assistance from Google. Use your voice to ask a question on Google search.Get Google Now assistance for traffic alerts, boarding pass and "time to leave" reminders. Use Google Maps (navigation), Google Translate, and Google Weather. Enjoy your music right from wrist. Listen to your music on your phone or watch. Sync music to your watch and grab some Bluetooth headset to go for a run without your phone. (Android only). Use many different apps like Google Play Music, Spotify, and Pandora (Android Only). Excellent workmanship to ensure charging speed. 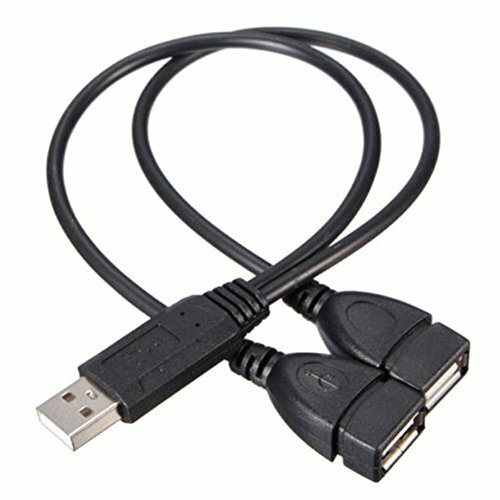 The USB charger for mobile phone is divided into 2 chargers. The data line made of copper and ABS material has good conductivity, easy to use and fast transmission. 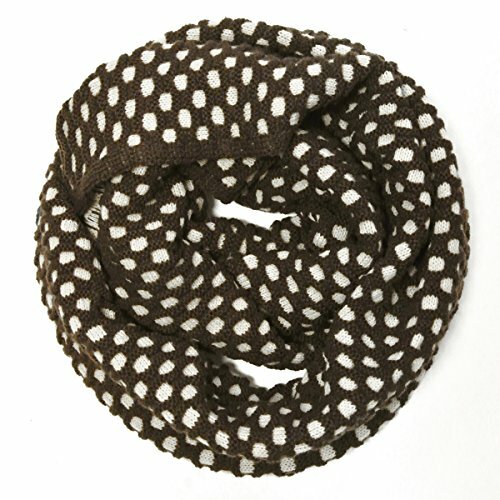 Due to the different lighting and screen settings, the color of the item may be slightly different from the picture. ①Refrigeration temperature range 3 to 8 centigrade degree (generally 15 - 20 centigrade degree less than environment temperature), enjoy cool drink and food in summer at your car. ②Up to 65 centigrade degree heating temperature, also can heat milk and tea in winter. ③Convenient to put in or take out stuffs by opening the top cover. Light weight and come with a strap, can be carried on the shoulder. ④Portable and light weight, shoulder strap length is about 2m, easy to take when go out for fishing and cycling travel. 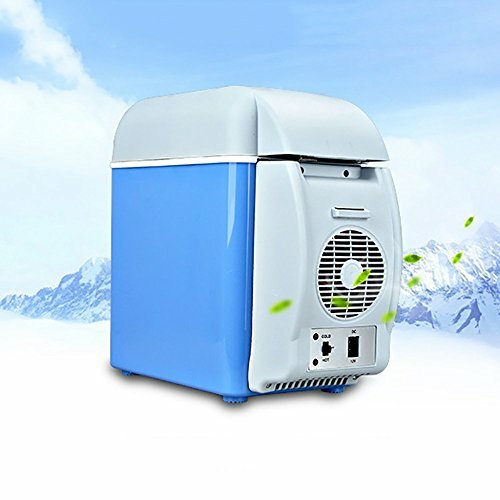 ⑤6 advantages: Eco-friendly, energy saving, long service life, non-pollution, low noise, semiconductor refrigeration system. 【Warranty & Customer Service】100% original MOUNTDOG brand new. 12 months warranty for quality issue. If you have any question, please contact us through amazon OR send email(Card inside the package) to us. Easy-to-reach 7/24 customer service support for you. E27 General Jack 5500K color temperature to prevent from color aberration. Economic-friendly fluorescent bulbs 12X45W. 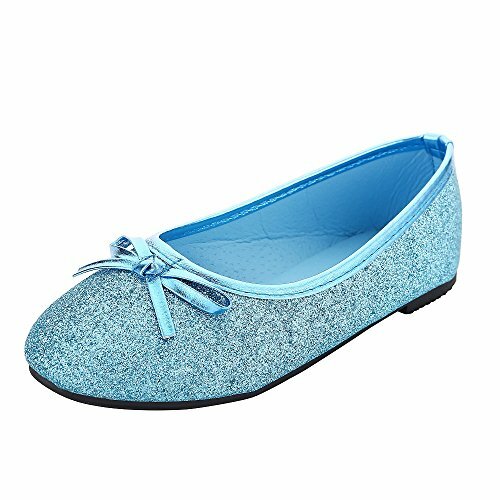 Suitable for indoor and daylight photo shooting. Idea for video recording, live streaming, youtube video maker. 4 light holder lighthead with 2 ON/OFF remote control for each 2 bulbs. Bold softbox stand, wider than tradition stand, more stable and durable. Aluminum Alloy Adjustable Stand，3 x 80"/2M stand made of aluminum alloy with 1/4-inch standard screw thread tip, can be adjustable from 27"/70cm to 80"/2m, giving it exceptional strength, great for different shootings. 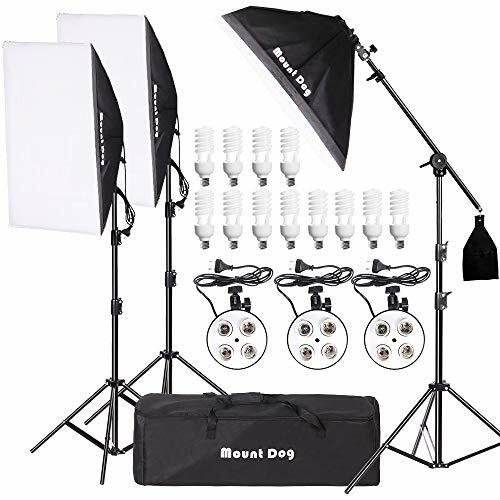 Easy to install, easy to carrying out for professional photography lighting phto studio. One-in-all carring bag. Solid Safety 3 Legs Stages，more stable. Wide applications: suitable for adults, children, the old, businessmen etc. The watch has a standard sports function, it can count steps, distances, and calories. Effectively detects your sleep time and sleep quality, helps you to have a good sleep. 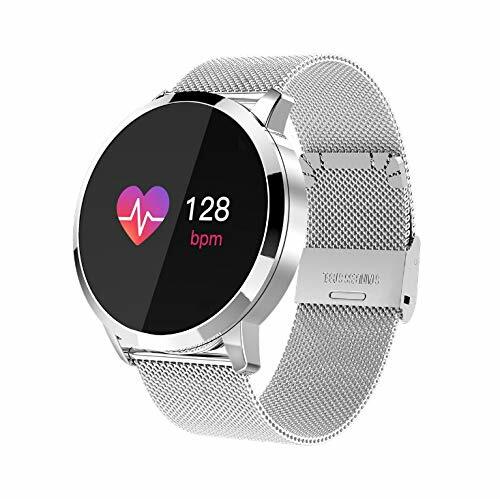 【Perfect Personal Health Tracker】: Tracking real-time heart rate,Blood oxygen,health data mamegement by the green optical sensor.Sleep Quality Monitor:Accurately monitor your different sleeping stages,including deep sleep,light sleep,and awake time.Sedentary Reminder,Pedometer,Calories Consumption with 24H-continuous hours,HD remote control camera,Music player,Water reminder, Alarm Clock,Two-way anti lost remind,History Data,Stopwatch. Voice Recorder, Muti-timezone, Muti-language. 【Sync APPs】Support message push from Skype,Wechat,Facebook,Twitter,Texts,Email, eyc.Synchronize all the callings,SMS,notifications push with contents display after connecting with phone,don't miss any message.Wake up the screen with only a gentle lift of arm.Muti-timezone, Muti-language.Support Bluetooth Music & Romote photo. 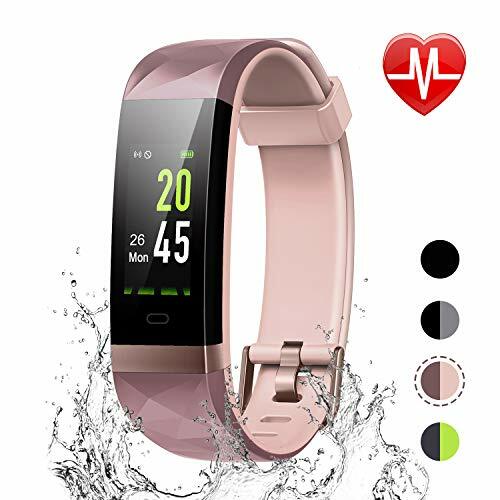 Downloading App in mobile phone to connect fitness watch with android phones or iphones via Bluetooth, Support Android 4.4 and IOS8 or above mobile phones. 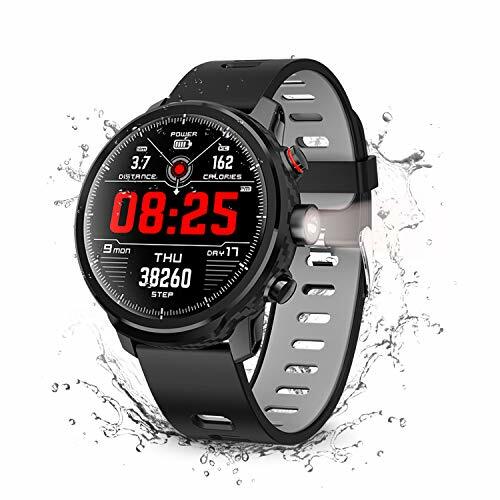 【IP68 Waterproof grade & dust resistant smart watches】: Carry it with you when Swimming,Wash hand, Rainy day, bathing, exercising,even swimming (water depth less than 33 feet, duration half an hour ) 10+ sports modes support,record your work out moment.it's the best fitness watch for outdoor sports and fitness exercise. RAM/ROM：64KB/512KB to store all your exercise records and health data.To set up a professional and intelligent data base, which aims to analyze your health condition. 【Led lighting and long-lasting battery】:One press on torchlight light your dark night,Emergency alert flash,Screen brightness adjustable.A bigger display time is coming,380Mah battery capacity Increditable 1 week battery life.Including Nordic battery chipset,fully charges in only two hours. 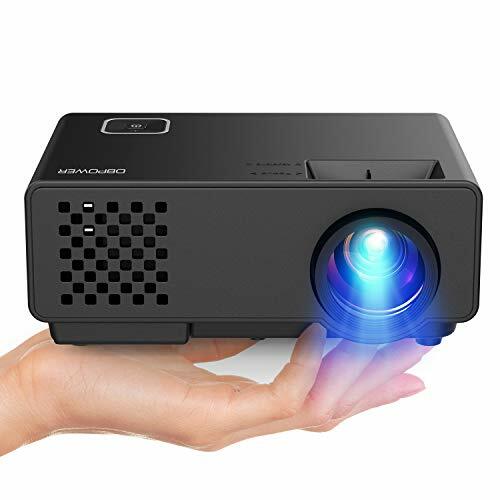 【Full HD 1080p Capture】 With 1080P video resolution and 12MP photo resolution, you can record fluent and clear videos even when the item do quick movement. Anti-shaking function lets you can take beautiful pictures even when the item moving. 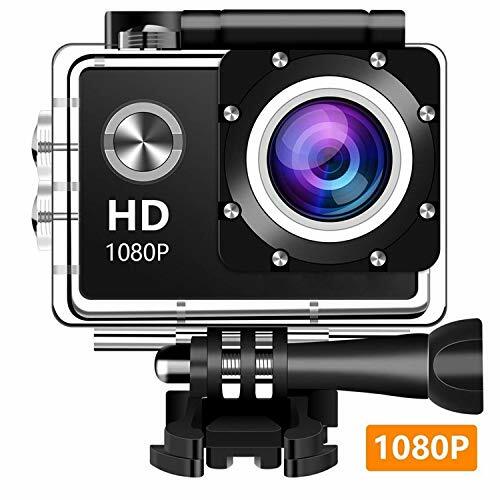 【Waterproof up to 30M】 Equipped with IP68 waterproof case,durable waterproof to 100 Feet (30m).It help you capture your every fantastic underwater sports moments like swimming or diving. It is designed to withstand extreme environments. 【140 ultra wide angle】140 ultra wide angle, you can shoot much more scenery of your world, convenient to view real time videos and photos on camera. Also support for extreme sports such as parachute jumping and surfing. It will be a good companion of your outdoor sports and activities. 【2.0 Inch LCD Helmet Camera】Screen with larger size brings you better visual experience. you can easily know the status of your action camera when recording, no bad experience of missing great moment. 【Other Excellent Features】Come along with tons of free accessories, you can transform it to fit various indoor and outdoor extreme activities. 900mAh rechargeable detachable battery that is easy to replace and prolongs your camera's service life, recharging itself up to super amounts of times. 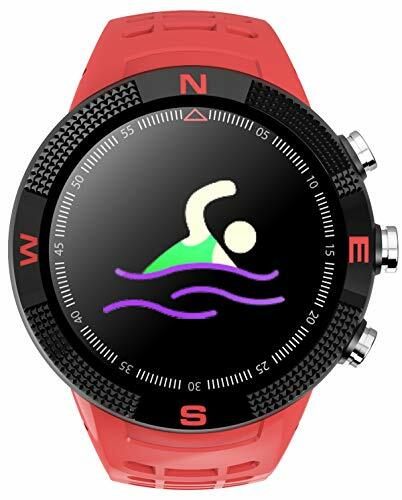 &#x1F3CA; 2018 Update Version IP67 Waterproof: Our kids smart watch use advanced IP68 waterproof design so that your kids can wear it while washing or bathing or swimming.STAINLESS steel surface, Precision laminating process, Nano TPU85 material strap, Anti-sweat matte surface treatment ergonomic convex design and soft strap which make wearing more comfortable. 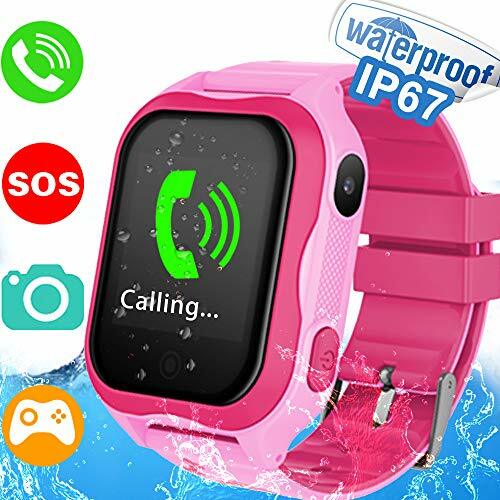 &#x1F4F1; Multiple Function Kids Smart Phone Watch: GreaSmart kids gps watch phone with SIM Card in the Slot, GPS Safety Tracking, Anti-Lost Alarm, Two-way Calls, 1 Button Quick SOS Emergency Call, Voice Chat on App, Remote Camera, Flashlight, 2 of Watch UI, Stopwatch, Dial plate, Puzzle Games for fun. Family Member& Multi-Childs APP Management. This is a great gift for every child to enjoy entertainment and learning. &#x1F6A9; AGPS+LBS Location:Double position technology based on AGPS, Location Base on Cell Tower Station means double safety for kids.achieving all day real-tim location tracking(The LBS location way will has 1~4 miles error with the real position),Kids can one click SOS to get call if they in danger. Parents can controll and settings via app(You can download the APP from Apple Store or Google Play). &#x1F198;SOS Emergency Call Feature: When in distress, your kid can use this smart watches boys GPS to inform you thanks to an intuitive SOS feature. Pressing the SOS button on the kids smartwatch for 3 seconds it will call 3 SOS phone numbers alternatively in 2 rounds until answering the call. When in distress , your kid can use this smart watches boys GPS to inform you. You can set up to 3 SOS numbers. This is so important in an emergency situation. Dimensions: 48" circumference x 14"W.
Set up wifi quickly：Updated Wifi performance has promoted Easier wifi set up and Stabler wifi connection. No worries about wifi camera set up or camera lose connection issue anymore. Smart motion detection：You can Set/Block specific zooms of motion detection to avoid false alarm. Receiving real-time motion alert push to mobile phone . Can manually set schedulable motion detection, timing recording, motion recording according to your requirements. Power adapter with 15ft cable：Now the surveillance camera packaged with a longer 2M cable on the standard US 2-PIN plug and an 3M extension cable.Strong and Robust to withstand rough weather for using outdoors. IP66 Waterproof. You will get MORE than you pay. CONVENIENT TO USE: The adjustable range of the light stand is 33"-78" /0.8m-2m. and it can be rotated 180 degrees. 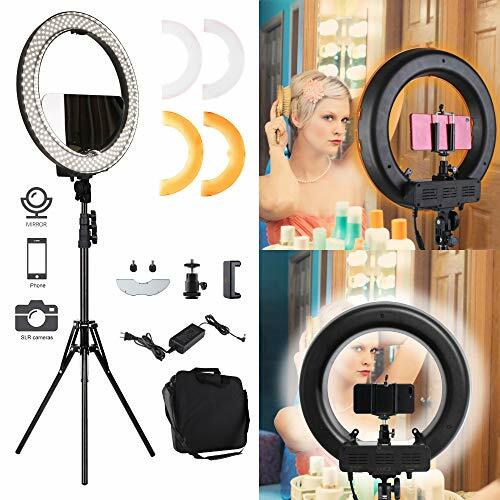 Dimmable Ring Light can meet different shooting environments and meet your need of the different shooting effects. The dimming ranges from 10%-100%. QUALITY ASSURANCE：Your satisfaction is guaranteed in Five Years thanks to our industry-leading warranty program. Providing the best quality product and best customer service is our NO.1 principle. For any questions or problem, you can contact us and we will reply immediately to solve all of your questions . 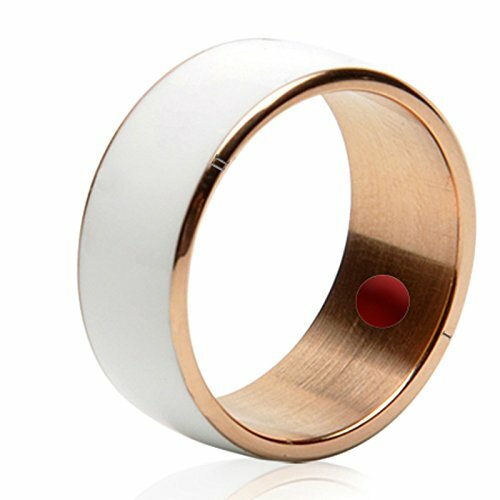 JAKCOM R3F Smart Ring is a Wearable electronic components. JAKCOM R3F No need battery charging and IP68 Waterproof. 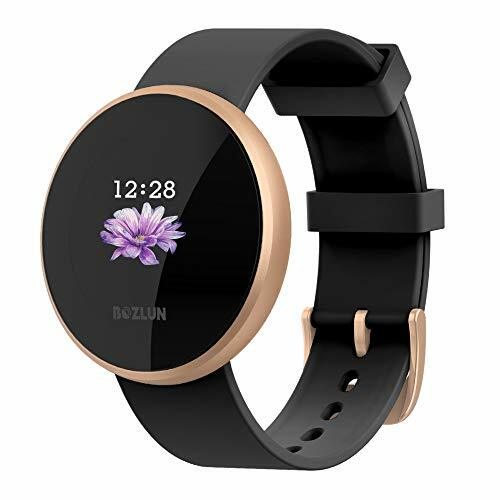 Build-in GPS Precise Positioning: With build-in GPS, it can provide accurate positioning and record accurate movement data while exercising even without phone. Four Sport Mode Recording: It supports four sport mode recording, Walking mode, Running mode, Mountaineering mode and Cycling mode. 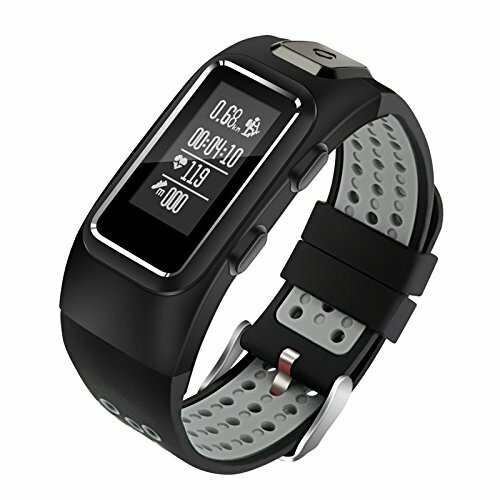 Real-Time Heart Rate Monitor: You can monitor your heart rate at any time. After setting the Real Time HR on APP, it can record your heart rate whole day. Temperature&Air Pressure&Altitude Monitor: It's convenient to check Altitude, Temperature, and Air Pressure, know the environment clearly. 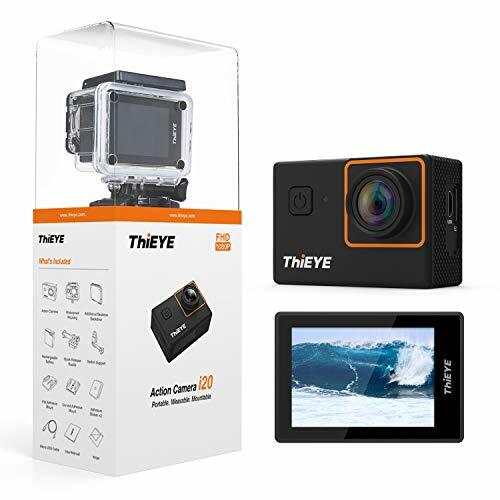 【1080P 30fps】It achieves gorgeous 1080P 30fps Full HD videos and supports looping recording, which enables you to capture high quality videos without compromising on the i20's sleek and compact style. 【170° Ultra-wide Angle Lens,2.0" LCD Screen】The 170° wide angle lens ensures you a whole experience with high color saturation and stunning clarity.2.0 screen which helps you adjust the setting of camera and play back the videos and photos you just captured anytime anywhere. 【Multiple Mounts, Many Uses】Simple mounts with creative ideas make great fun. Just mount it on bicycle, wear it on yourself or pets to shoot a first perspective video. CERTIFICATED WATERPROOF: Our Samsung Galaxy S8 Plus Waterproof Case offers complete protection against water and dust. It has an IP68 rating and can stay submerged in 6.6 ft / 2 m of water for 1hr without leaks. DESIGNED FOR PERFECT FIT: This waterproof cellphone case is made to the exact size and dimensions of the Samsung Galaxy S8 Plus. It fits perfectly and will not interfere with the buttons or any other phone function. TOUCH SENSITIVE: The front of the Samsung Galaxy S8 Plus waterproof case does not reduce the sensitivity of the screen. You still get perfect touch sensitivity to carry out all your activities normally. PREMIUM QUALITY DESIGN: We used the highest quality materials to make this full-sealed phone case. It is therefore durable enough to take on everything. 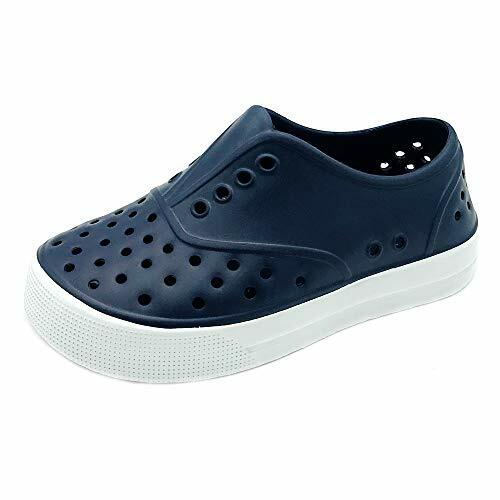 It is perfect for diving, swimming, surfing, skiing, and more.